Unless damaging provisions are removed before negotiations are finalized, the TPP agreement is on track to become the most harmful trade pact ever for access to medicines in developing countries. 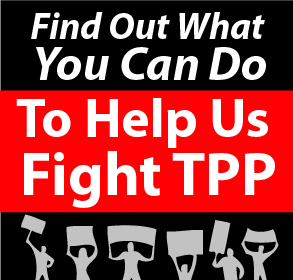 The TPP trade deal is currently being negotiated between the U.S. and ten other Pacific Rim nations. The negotiations are being conducted in secret, but leaked drafts of the agreement include aggressive intellectual property (IP) rules that would restrict access to affordable, lifesaving medicines for millions of people. Proposed by U.S. negotiators, the IP rules enhance patent and data protections for pharmaceutical companies, dismantle public health safeguards enshrined in international law, and obstruct price-lowering generic competition for medicines. As a medical humanitarian organization working in nearly 70 countries, Doctors Without Borders/Médecins Sans Frontières (MSF) is concerned about the impact these provisions will have on public health in developing countries where MSF works and beyond. Governments have a responsibility to ensure that public health interests are not trampled by commercial interests, and must resist pressures to erode hard-fought legal safeguards for public health that represent a lifeline for people in developing countries. MSF urges the U.S. government to withdraw—and all other TPP negotiating governments to reject—provisions that will harm access to medicines.